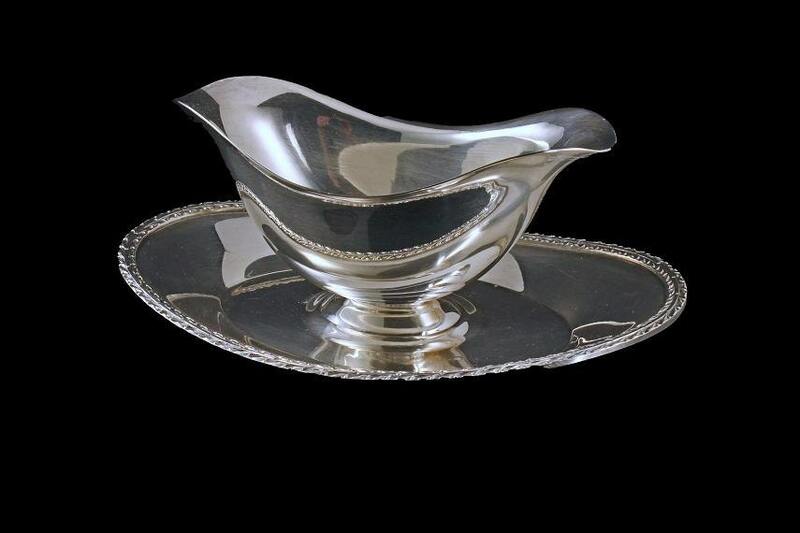 A lovely silver plated gravy boat with attached underplate. 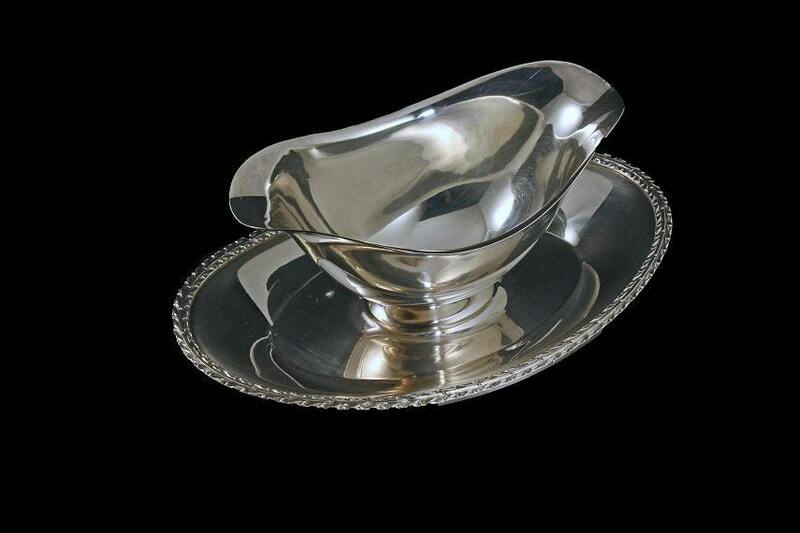 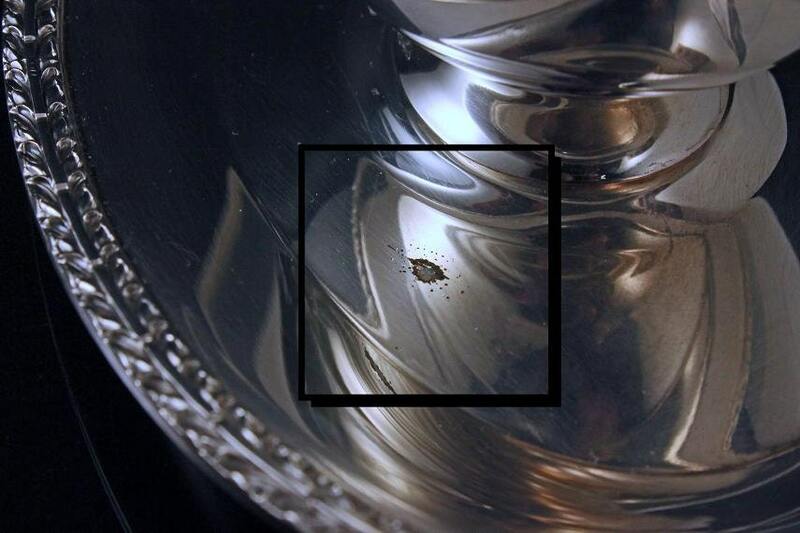 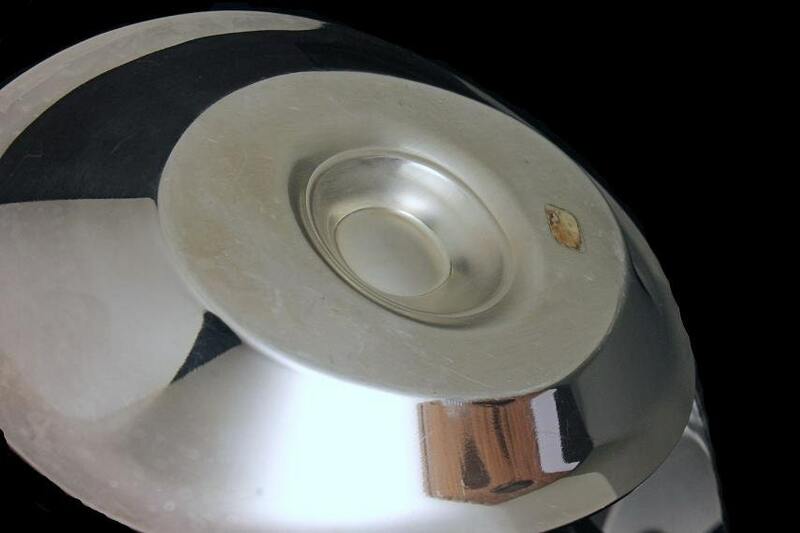 This boat is shiny and has an ornate edge around the bottom plate. 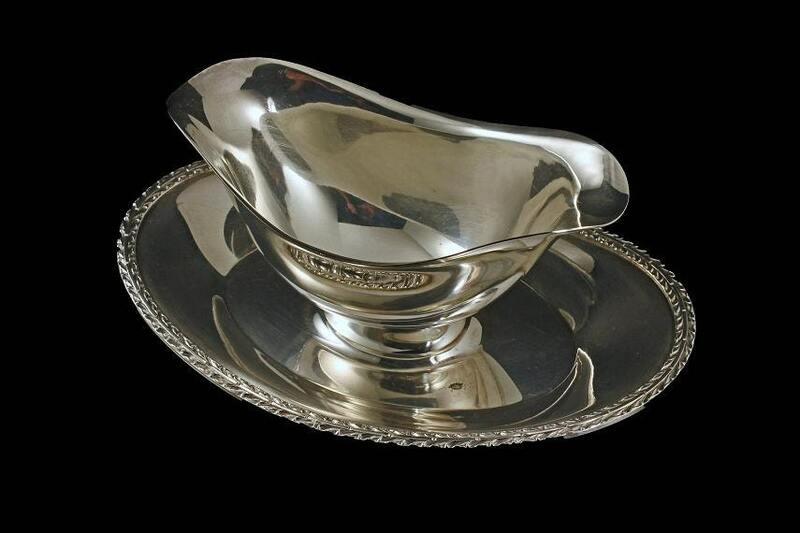 It would make a great boat to serve gravy, sauces, salsas and more.